Who Else Wants to Use Earth Resonance & Magnetics For Increased Endurance and Faster Recovery? Great to hear you're interested in increasing your vitality and endurance! Pulsed magnetic therapy systems give you an edge that many others won't even know exists. In sports that can mean winning but in everyday life it can just mean feeling better and more alive! I think, whether you're considering this stuff for enhanced endurance, or for relief from discomfort, I think you're going to find that this is very much worth the effort. It’s worth looking into and worth getting into! Before I get into the specific system that I'm going to be discussing here in this report, I want to get into a little bit of why I think so many people, and this might be the case with yourself, are investigating this kind of technology right now, at this time. Right now in history we're in a low point for the intensity of the magnetic field of the Earth. Our planet goes through cycles of magnetic polarity and polarity reversals as well as intensity of field, field strength. And these go hand in hand with the polarity reversals based on most theories about the magnetic polarity reversals. So, right now we're in a period of low-intensity magnetic field, historically, compared to other times in history. When you think about a magnetic field, conductivity, and energetic aspects of it, the main thing that's going on is the conductive pathways are energized with electrical current flow when you move through a magnetic field. Any time you have a pulsating magnetic field and a conductive pathway within that magnetic field, there is current “induced” in that conductive pathway. This is the same way that an electric motor works. This is called induction. It's called induced current, and it works the same way with your tissues as well. 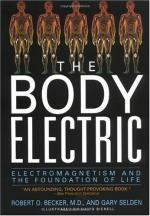 You have conductive pathways throughout your body. And when you move within the magnetic field of the Earth, for example, your tissues are thus energized with a flow of current (electricity). This means when the intensity of the Earth's magnetic field is at a low point (NOW), then you have less current induced in your conductive pathways. So, in a sense, your energy can kind of run low specifically because the earth’s magnetic field intensity is at a low point! I believe that's the main reason why there's such a big surge in popularity of things like PEMFT as well as earthing (grounding), where you simply just take off your shoes and walk on the Earth in order to ground your energy with the Earth's magnetic field. PEMFT stands for Pulsed Electro-Magnetic Field Therapy and it’s surged in popularity. Especially popular are the low-intensity PEMFT devices which basically match the energetic level of your body instead of overpowering it and just giving you a nudge in the right direction so the energy flow harmoniously. I believe that's really the reason why there's such a surge in popularity of this kind of technology, and the bottom line is that it helps. The feedback we’ve seen from these devices over the last two decades has been phenomenal. This guy was using our version 4 device from many years ago. That’s what matters most, so I'm glad to know that you're getting into this. Now I’ll discuss with you the latest version of a technology I've personally been using, literally, for over a decade. It's helped me incredibly through intense sports injuries including a serious concussion that left me unable to walk to the bathroom for a brief period during recovery. It has also helped me keep up with more endurance for my sports activity – this can easily be tested based on how long you can hold your breath. Ask any surfer and they will understand this aspect of endurance quite well. This technology has also helped enhance the effects of supplements that I take including the ones I’ve specifically taken for the various joint issues I’ve had over the years from sports abuse. I take a lot of supplements for keep my joints in good shape as I age and I’ve noticed that combining joint care supplements with this technology has delivered results I couldn’t achieve with just one of the other. This technology has also helped me maintain a younger look (and kept me feeling that way also!) than I actually am, since I'm much older than people tend to think I am. And the device that I'm talking about is called the Earth Pulse. It’s very compact which is nice because you can take it with you when you're traveling without any issues. One of the reasons that you’ll like it so much is that not only is it matching the intensity levels of your natural biofield, but it also matches the characteristics of the Earth that we've been acclimated to for generations. Your body is acclimated to the Earth's natural magnetic field, and the Earth Pulse is, basically, using that same type of North polarity along with a frequency pulse, low-frequency Schumann Resonance frequencies, that you're already balanced with. By working in that frequency range, it's very harmonious with your body. What the Earth Pulse does is it uses both a static north-facing magnetic field along with a pulsating magnetic field in the Schumann Resonance range. You see in the Northern Hemisphere we have a north polarity permanent magnetic field. Blending into that North field is a “resonance” between the conductive crust of the earth and conductive upper ionosphere. This was discussed by Nikola Tesla and mathematically calculated by Winfried Otto Schumann in 1952, that's why it's referred to as the Schumann Resonance. This traditionally was fixed at 7.83 hertz, so steady that instrumentation was calibrated on that frequency. More recently it’s actually shifted around quite a bit, likely because of man-made electromagnetics, and wireless technologies, other types of energies, HAARP, potentially, and other types of atmospheric effects. 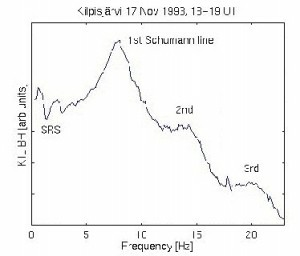 But the Schumann Resonance is a resonance between the charged upper surface of the crust of the Earth along with the charged upper layer of the upper atmosphere of the ionosphere, and it's the difference in potential between them. So, the atmosphere between those two charged plates that act kind of like a capacitor are in resonance and insulating the difference between the crust and ionosphere that makes the Schumann Resonance. The frequencies in this range are very important frequencies, and I believe that's one of the reasons why the Earth Pulse works so well. Now, the Earth Pulse works a bit differently than a lot of the other products that you’d find out there, and this is some good benefit, actually. Instead of using a big mat, like so many of the European systems out there, which is big and bulky. This makes them expensive to manufacture which brings up the investment of those types of devices. This and other factors brings the price of European pulsed magnetic mat products up into the $4,000 range. The Earth Pulse instead uses a hockey puck-sized electromagnetic instead which is placed underneath the mattress of your bed, you're using your bed instead of having to purchase a big mat. And that saves a lot of money, because instead of investing $4,000, you can get started with an Earth Pulse for just $699, it’s more compact to travel with and can be powered on anywhere in the world! These electromagnets, like I mentioned, they have a permanent-facing north field, so there's a north-facing magnet in the center and a coil that surrounds it. These are simply placed underneath the mattress of your bed. It turns your bed into a pulsating magnetic mat running the important low frequency Schumann resonance waves that have been increasingly missing from our environment. This makes it very simple to integrate into your lifestyle, you can use it while you sleep. It enhances getting into deeper, more restful sleep zones into the delta and REM sleep. It has a 5 sleep programs plus can run at any frequency from .5 Hz to 14.1 Hz. And in a video I'll show you all those programs so that you know how to use it. The Earth Pulse is also very compact it’s easy to take it with you when you travel. You’ll see we've got a few different models as well. We've got the version 5 as well as the version 5 Pro (which adds an additional electromagnet, perfect for two people on a larger bed. The only different between the version 5 and the version 5 Pro is that the Pro actually has two electromagnets that run at the same time, and they're synchronized. They both have exactly the same programs. I also use these electromagnets directly on my body but it will go right through clothing, for example while I'm working on the computer, I put it in a fanny pack and put the electromagnet in the fanny pack. I found that to be very helpful while consuming glycoprotein supplements for joint health. So, yeah, go ahead and check out some of the feedback we've had from some of our customers that have been using this system, and you'll see the great results they have had. And we've got a 90-day satisfaction guarantee on all our systems, so, you know, we're taking all the risk. You can try it out, make sure it's right for you and then decide. So, go ahead and try one out. You'll be glad you did, because it's a phenomenal technology, and it helps you get your feet into the pulsed magnetic therapy world without taking such a risk and spending such a fortune in getting going. And remember the most important thing to get results with Pulsed Magnetic Therapy is consistency of use. The Earth Pulse electromagnets just sit right underneath your mattress, they're there ready to go, and you don't have to take time out of your day in order to get benefit from this. The Earth Pulse is simply turned on and run while you sleep and since you don’t have to take time out of your day consistently – you’re more likely to actually use it! Just turn it on, and run it, and sleep, and you'll notice deeper, more restful sleep and increased endurance. You’ll be getting all the energy that we used to get when the Earth had a more intense magnetic field, and we were sleeping closer to it. So, that's the Earth Pulse. Try one out. I know you'll be glad you did, and let me know if you have any questions, and I'll be glad to help out. EarthPulse™ v.5 Sleep on Command system is 30% more powerful than our previous model. More effective with thick mattress and for where more field amplitude is required for local application. v.5 is powered by included 100v – 240v AC to 12 volt DC power supply; built to be compatible with this 12 volt Voltaic battery (SOLD SEPARATELY) for portable, off the grid, or equine applications. Addition of 1 hour buffer of 14.1 Hz on all Sleep-Modes, Recover and Manual Modes to help wake more effectively without sleeping through shut-down. Feel, sleep and perform a decade or two younger in 90-days or return it for refund. EarthPulse™ v.5Pro; our two magnet system, each one 30% more powerful than our v.4.7. The v.5Pro is the pinnacle of 14 years of R&D and the most powerful transportable system in the world at 1/3 the cost of a mat system yet many times more powerful (650+ Gauss per magnet). Addition of 1 hour buffer at 14.1 Hz on all SLEEP-MODES, RECOVER-MODE and MANUAL-FREQUENCY MODE to help you wake more effectively without sleeping through shut-down. EarthPulse™ v.5 Sleep on Command system is 30% more powerful than our previous model. More effective with thick mattress and for where more field amplitude is required for local application.